Type III radio bursts are a group of fast drifting radio emissions associated with solar flares [see also previous CESRA highlights on type III bursts here and here]. These radio emissions are believed to be excited at the fundamental and second harmonic of the electron plasma frequency, by the electron beam excited Langmuir waves through a mechanism called the plasma mechanism. This mechanism attributes the dipole and quadrupole beam patterns for the fundamental and harmonic emissions. 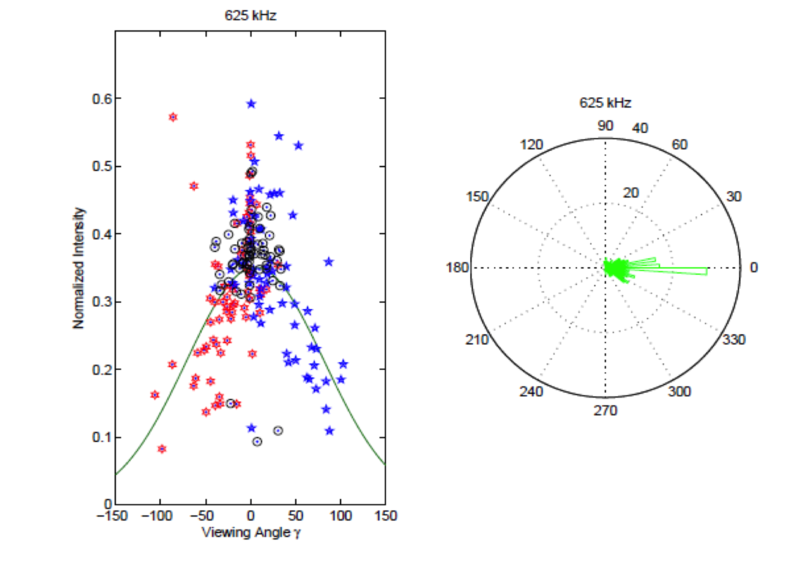 To verify these predictions, we have analyzed the simultaneous observations of type III radio bursts obtained by the STEREO A, B and Wind spacecraft located at different vantage points in the ecliptic plane, and determined their normalized peak intensities (directivity factors) at each spacecraft using their time profiles (Fig 1). Assuming that the sources of these bursts are located on the Parker spiral magnetic field lines emerging from the associated active regions, we have estimated the angles between the magnetic field directions and the lines connecting the sources to the spacecraft (viewing angles). Based on the plots of the directivity factors versus the viewing angles, we have divided these bursts into (1) intense bursts emitted into a narrow cone centered around the tangent to the magnetic field, and (2) relatively weaker bursts emitting into a wider cone centered around the tangent to the magnetic field. We have computed the distributions of ray trajectories emitted by an isotropic point source (Fig 2). These distributions have clearly shown that the refraction focuses the fundamental and harmonic emissions into narrow and wider cones, respectively. The comparison of these distributions with observations indicates that the intense bursts visible to a narrow range of angles around the tangent to the magnetic field probably correspond to the fundamental, and the relatively weaker bursts visible to a wide range of angles probably are the harmonic emissions. 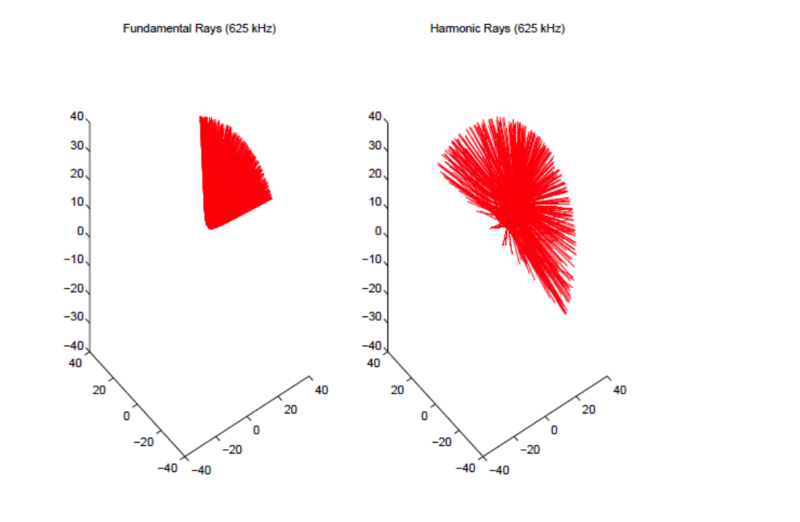 Figure 2: The distribution of ray trajectories at the fundamental and harmonic frequencies emitted by an isotropic source placed at the center of the disc.